As many had expected, both Samsung and Apple jumped on the all-screen design bandwagon in the same year. Samsung did it first as it launches its flagship at the beginning of the year, and Apple followed a few months later with the iPhone X. 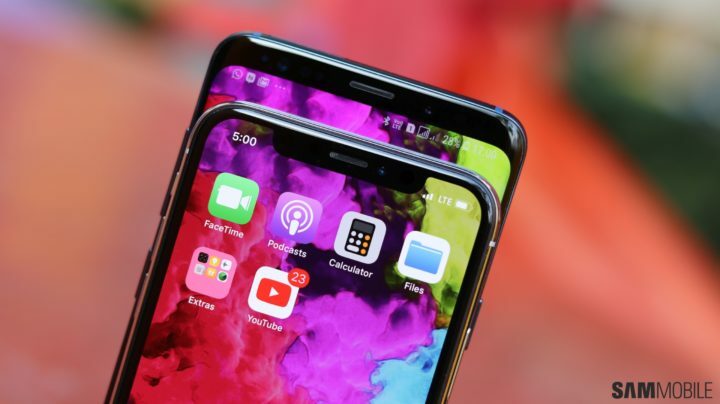 Only the iPhone X wasn’t like other smartphones with bezel-less displays. It had a notch at the top (like the Essential Phone) that cuts into the display, adding an element of distraction in what is otherwise a display with minimal bezels around it. 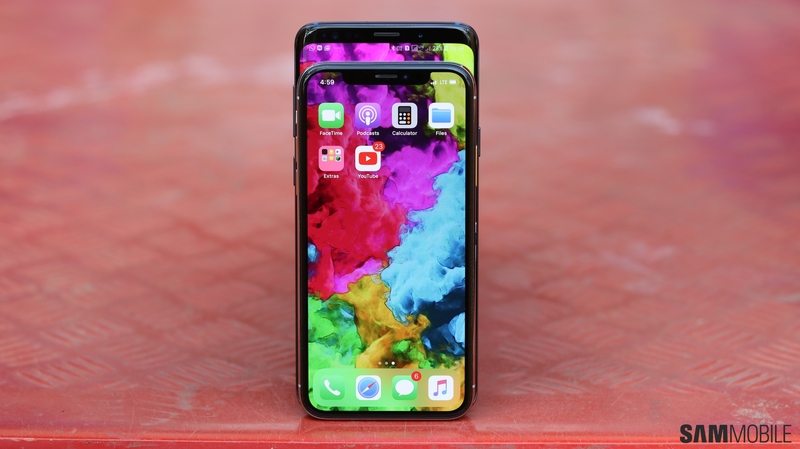 That notch does include Face ID, the most advanced face recognition technology available on a smartphone today, but the ‘Infinity display’ on Samsung’s flagships feels like a better implementation of a bezel-less display. And while the Galaxy S8/S9 and Galaxy Note 8 have more top and bottom bezel compared to the iPhone X, the bezels on the side are much smaller thanks to the curved edges. 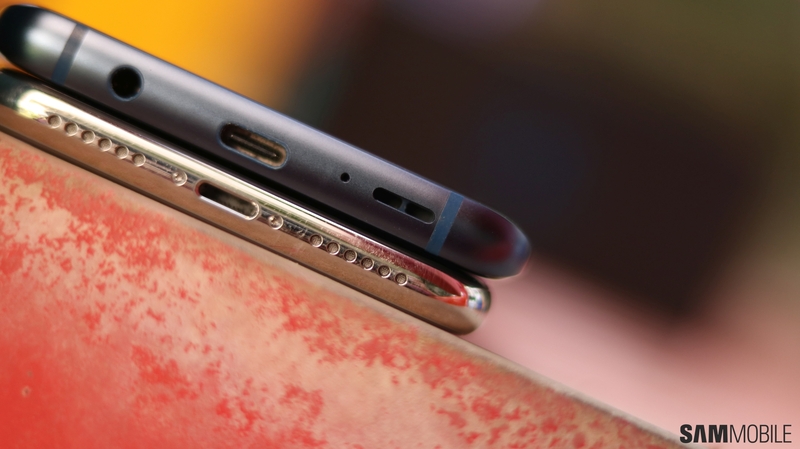 Elsewhere, though, Apple’s tenth iPhone does include a similar design direction to Samsung’s flagships. 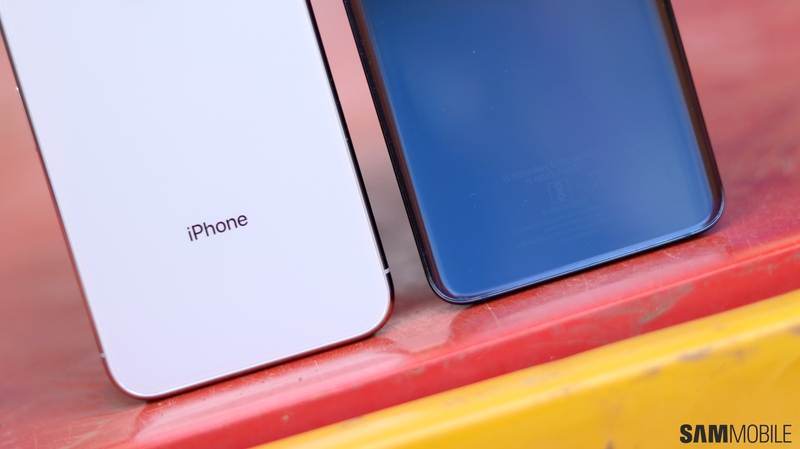 After a few years of making iPhones with a metallic back, Apple has switched back to a glass back for the iPhone X. Apple is the manufacturer that made phones with glass backs popular, and Samsung took inspiration when it launched the Galaxy S6 and has stuck to glass-heavy designs ever since, even offering it in the mid-range segment with the A series phones. 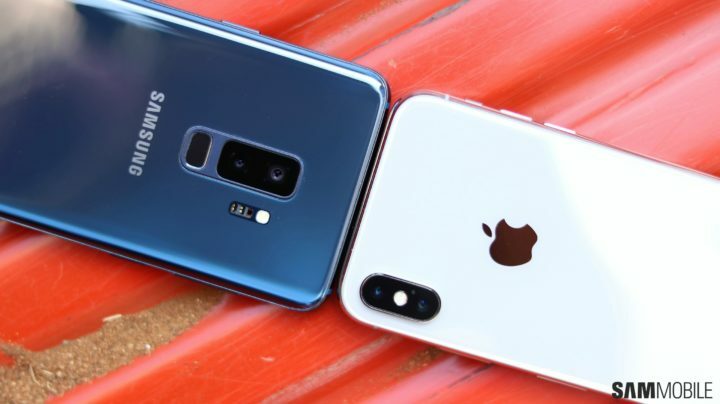 As a result, both Samsung’s and Apple’s newest flagships feel great to hold, though we’d be lying if we said we aren’t inclined towards the more futuristic look of the Galaxy handsets. 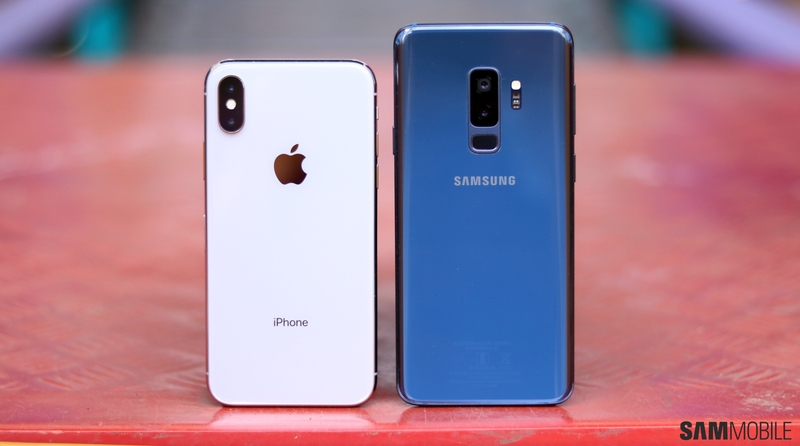 That’s not the say the iPhone X isn’t a beautiful device, and we were recently able to get hold of a unit thanks to one of our blogging friends, so we decided to put the phone next to a Galaxy S9+ to give our readers a look at how the two compare standing next to each other. We’re not going to say any more here; if you’re on our website, there’s probably nothing (other than faster software updates, maybe?) 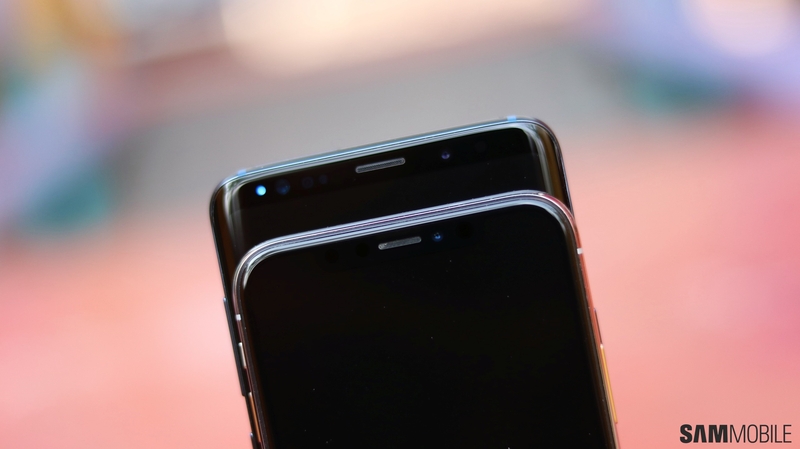 that would make you switch to an iPhone, so go ahead and see how Apple’s latest looks like next to Samsung’s Galaxy S9+. As always, let us know your thoughts in the comments section. We want a better battery life on S9 or our money back ..there is a major diffrences between Qualcomm’s Snapdragon 845 that work very well and this the Exynos 9810 version’s considerably worse battery performance because Samsung merely programmed the core scheduler poorly , maybe an update sofware can resolv this serious problem. I’m not happy at all with my battery life on the S9 plus exynos model should at least be better then my S8 plus but it’s not and sometimes it’s worse. 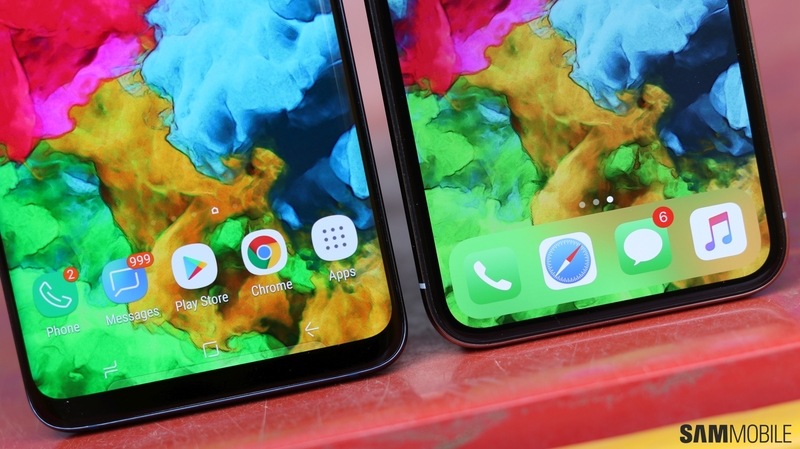 The same, have been trying to find this wallpaper since the article was posted. Color Drop wallpaper from the Backdrops app! Please send me an email with all the links referring to photo posts please? I want to know how many there are. I think it is not as bad as you say. Did you even read? We got the unit from a friend. If you still want to leave, please send an email to [email protected] to get your account closed. Ah, sorry about that, wasn’t trying to be rude, but your comment didn’t come off as very polite, either. You guys totally make our site what it is, no question about that! 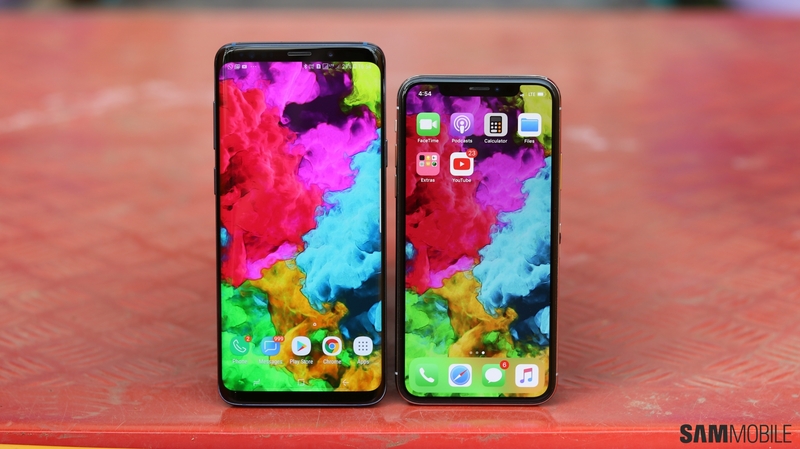 Actually notch is much better than 2 massive bezels on the top and bottom!!! 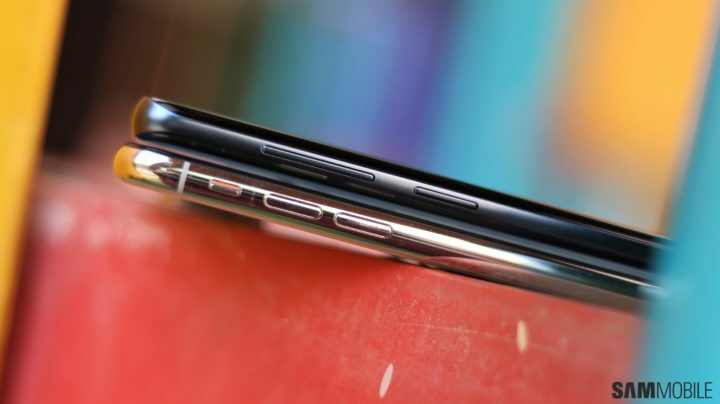 S9+ is soooo tall, very uncomfortable in the pocket. Because of the stupid edges mistyping is quite often. But the regular S9 isn’t too large. 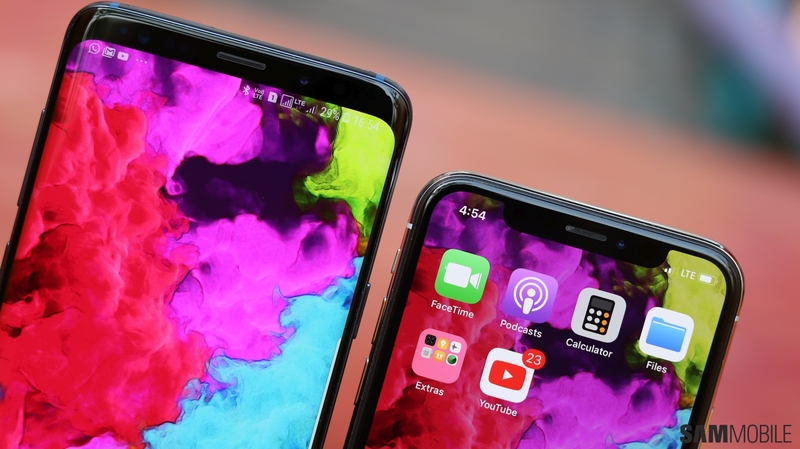 True the regular S9 doesn’t have dual cameras, but the S9+ is pretty well sized for the screen size and what it offers. No one wants the regular S9!